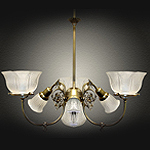 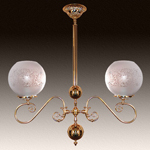 The antique reproduction chandeliers and other vintage style ceiling lighting fixtures you will see below are available as they are. 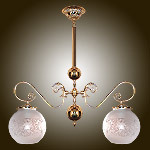 These lights can also be designed in many ways, other than how they are pictured. 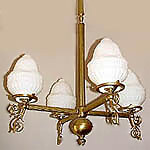 As with all our light fixtures, at CLC we start with solid brass. 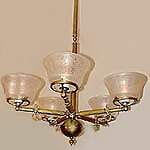 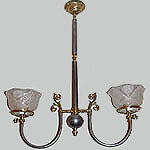 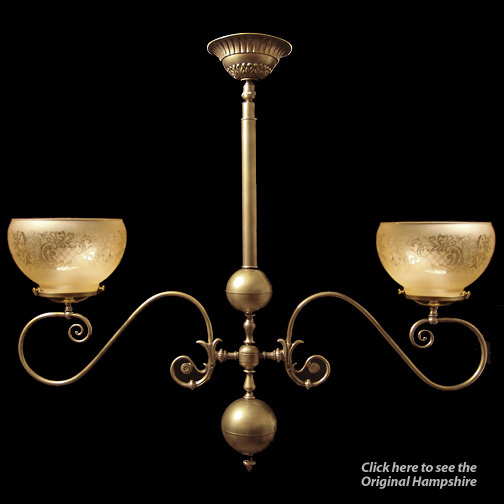 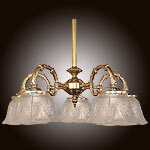 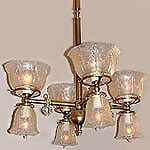 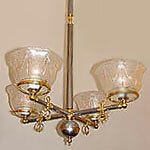 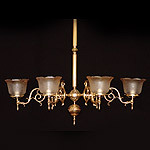 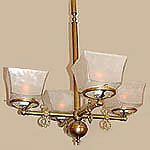 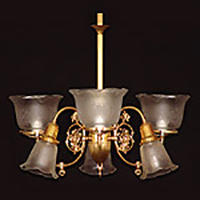 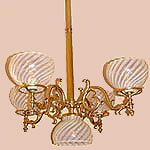 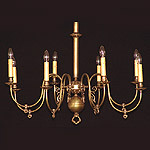 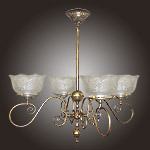 To achieve the period or style you are after, you may change or customize your selections in metal color, glass shade, holder style, tubing style, backplate, number of arms, glass direction, swivels and more, all the way down to the smallest finial, whether Victorian, Colonial, Arts and Crafts, Mission, Art Deco or other antique styles from the 1800's and 1900’s.